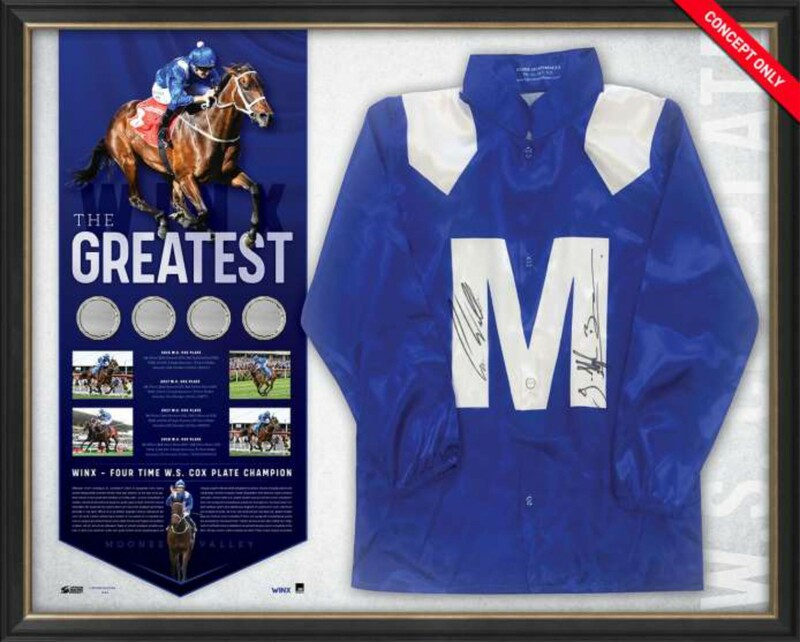 Replica Winx silks make up the centrepiece of this stunning tribute and come personally signed by four-time Cox Plate winning Jockey Hugh Bowman along with Champion Trainer, Chris Waller. Integrated into the display are four scale replica Cox Plates, commemorating each of her four record-breaking victories at Moonee Valley. 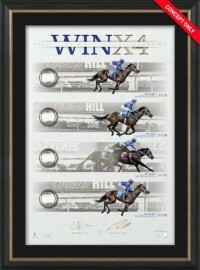 Artwork includes stills of Winx in her victorious 2015, 2016, 2017 and 2018 Cox Plates. Limited to just 444 editions worldwide. It is a must have for any Winx fan or Horse racing enthusiast alike. 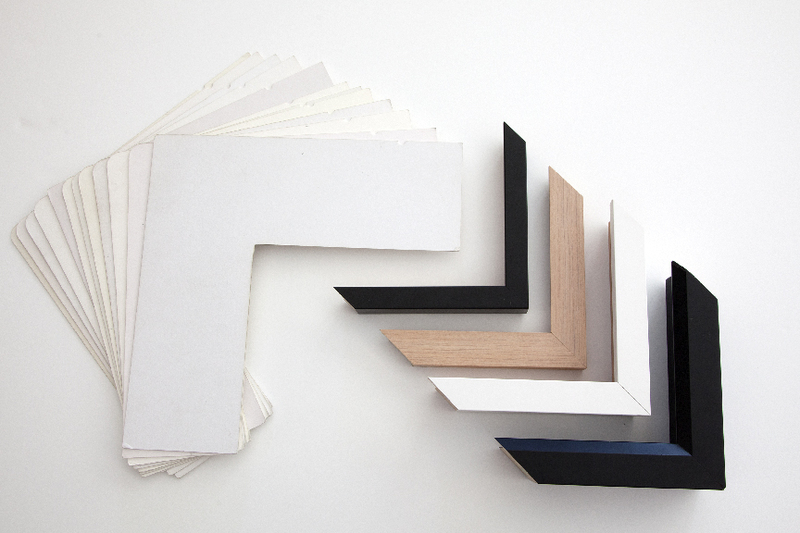 Each display is presented in a deluxe black frame. The display measures an impressive 1000mm high x 790mm wide (approximately). 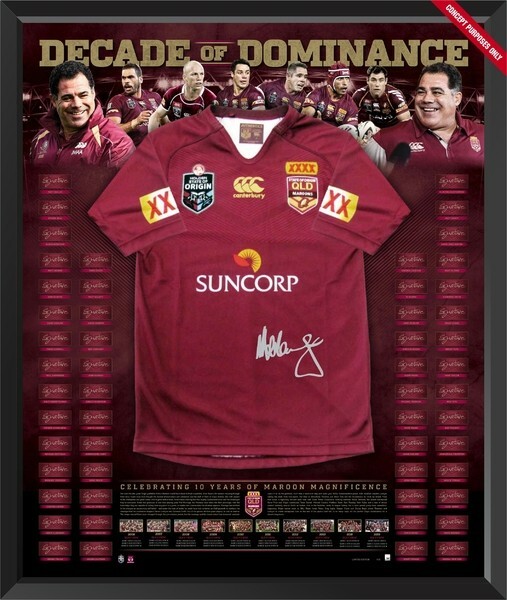 Don't miss out - secure your tribute to one of the greatest ever horses before they sell out! Price $1495.00 standard glass or $1695.00 UV Glass.